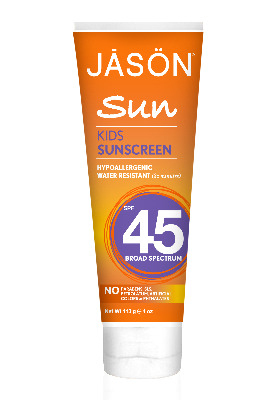 Specially formulated for your childs tender skin, this tear-free, water-resistant and hypoallergenic formula provides long-lasting solar defense- just for kids who are active outdoors under prolonged sun exposure. Infused with natural Chamomile and Calendula Extracts, it gently pampers your little ones sensitive skin while reducing the effects of potentially harsh sun rays to the skin. Now, your kids can run, play and enjoy the sun. Apply sunscreen liberally to all exposed skin area 15-20 minutes before sun exposure. Reapply as needed or after towel drying, swimming or sweating. For external use only. When using this product keep out of eyes. Stop use and ask a doctor if rash or irritation develops and lasts. Keep out of the reach of children. If swallwed, get medical help or contact a Poison Control Center right away.